The 2019 Taekwondo World Championships are set to be an incredible event and we expect tickets to be in high demand. Here’s all the information you need to prepare for securing your seat in Manchester next May. The World Championships competition will take place from Wednesday the 15th of May to Sunday the 19th of May. Can’t attend for a full day? No problem, each day is split into day and night sessions! Tickets are now on sale! Click here to check ticket availability. Fans, our Taekwondo family and people who are new to the sport all had a hugely enjoyable experience at the World Taekwondo Grand Prix and the 2019 World Championships will not disappoint! Tickets are being released in phases, with the cheapest now available, they’ll increase in price as the event gets closer so don’t miss out! 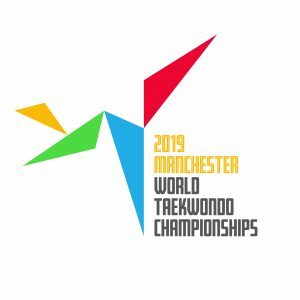 We are expecting tickets in each phase to sell quickly, so if you haven’t already registered your details with us please register your interest here to get priority access to tickets for the 2019 World Championships! Tickets will be sold in phases starting with the cheapest tickets which increase in price as the event gets closer. Ticket prices for this year’s event have been vastly reduced giving you an even greater opportunity to see your favourite stars in action. The cheapest possible single ticket for adults are priced just £8 and cheapest single junior ticket is £3 in the 1st Phase. Which one you choose is up to you but check the timeline further up this page to make sure you’re aware when tickets will be available. All tickets prices shown include Ticketmaster booking fees, so what you see is what you are paying for! If you’re looking to see one of GB’s many amazing star’s in action, you’re in luck, as there will be a member of the GB Taekwondo squad competing on each of the five days! That includes the likes of Jade Jones, Bianca Walkden, Lauren Williams and Lutalo Muhammad who will all be looking to get valuable ranking points ahead of next year’s Tokyo 2020 Olympics. The full competition schedule will be announced via the kickingforglory.com website soon.